We are happy that you found the way to our small but fine Cannapot cannabisseed onlinestore - order cannabisseeds online very easy at our hempshop, safe and secure. 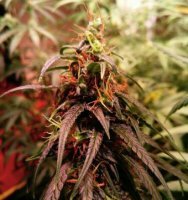 At Cannapot you find many regular genetics and different feminized marijuana seeds from well known breeders such as Sensi Seeds, DNA Genetics, Dinafem, Barneys Farm, Big Buddha, Karma Seeds, Serious, TGA Subcool, Rare Dankness, Brothers Grimm, Haute Genetics, CBD Crew, Pheno Finder, DJ Short and many more. Cannapot offers the best seed banks from all over the world, incredible good genetics are waiting for all growers, medicals users and seedcollectors. 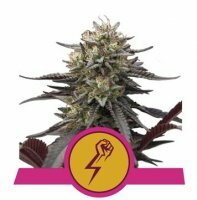 We are also very proud to offer cannabis strains from rather unknown breeders such as ApeOrigin, MoscaSeeds, Holy Smoke, True Canna Genetics, John Sinclair, French Touch or Top Tao which is the perfect choice for outdoorgrower in cold temperate zones. 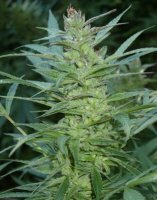 We over thousands of different hempgrains which are all waiting for your own private seedcollection! 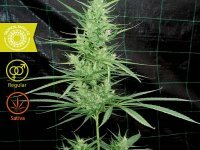 If you search for CBD Seeds please have a look at our special section for those genetics. These varieties offer a lot of cannabidiol that is very important for the medical use of cannabis. More and more breeders are going into creating highquality strains that offer a lot of CBD with an amazing power for therapeutical use. 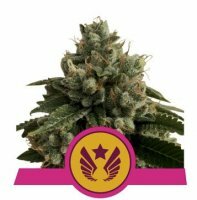 Especially the CBD Crew, Super CBDx and NativCanna offer a great selection of medical seeds. At the Cannapot Hempshop you can find regular genetics, feminized marijuana seeds, autoflowering plants (for example the famous Lowryder by Joint Doctor) produced by the best seed banks. Ordering at our shop is very easy and of course all the different weed seeds are stored perfect in industry refrigerators, they are not exposed to moisture, light and heat and so they are all germinable over a long period. We send worldwide and we include free seeds to every order. If you are searching for a special plant which is not listed here or grains which are little bit rare you can simply write us an E-Mail. There are so many different types of strains all around the world that it is impossible to list each of them but we will do everything we can to find the beans you are searching for. You can buy your cannabisseeds legal without creating an account - no problem! If you choose this option your data is stored at our system till the order is completed. But you can not check the status of your order online, in this case just write us an E-Mail and we keep you up to date. If you do not have an account all informations will be deleted after you have received your order! If you create an account this is much easier - you have always the online option to check the process of your order, you can change you delivery address, change passwords etc. We never give your personal informations to anybody outside of our shop, all data is only saved temporarily and the specifications of your account are secured by SSL - it is highly encrypted. 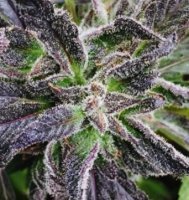 If this is still not enough, you maybe have a look at myCannapot - myCannapot is an auctionsystem where you can find true gems, rare hempstrains, cheap dopeseeds and maybe something real special. 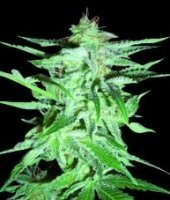 Also at myCannapot you can buy marijuana seeds online very easy - the hempseeds come directly from the breeder, this is your chance to get some rare and great strains or just to get cheap potseeds for a low price. Many thanks for your confidence, we will do all we can to make you happy – feel free to mail us if you have any questions. We wish you a lot of fun when you are surfing through the Cannapot Hempshop!